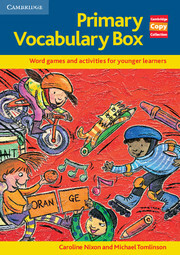 With 70 activities and games to suit a range of teaching situations, this book makes vocabulary learning an enjoyable experience for young learners. 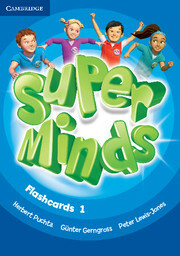 Easy to use and quick to prepare, the activities include exciting word searches, puzzles, games, and task-based activities.  A range of photocopiable vocabulary activities that young learners will enjoy.  Clear, easy-to-follow instructions for games that require the minimum of teacher preparation time.  Covers pre-intermediate vocabulary found in courses such as the Cambridge Young Learners Tests ( UCLES).